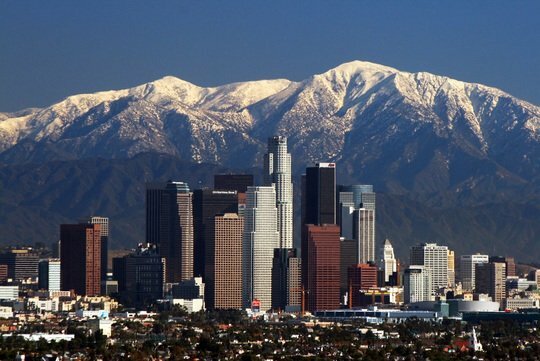 Los Angeles, often referred to as L.A., is located 342 miles south of San Francisco. It has an estimated population of about 3,800,000 people. It is the second largest city in California. It naturally has a warm, tropical climate and is made up of an eclectic mixture of people from all cultures and walks of life. It is home to California State University, Los Angeles (CSULA), California State University, Northridge (CSUN) and University of California, Los Angeles (UCLA). Los Angeles is amazing when it comes to landscape from the beaches to the mountains there is a vast array of outdoor attractions that attracts visitors every year. Los Angeles is a large city and with that comes numerous apartment complexes. However Los Angeles gets a vast amount of new residents each and every year. This means massive competition in getting an apartment. The ideal situation would be to begin looking and applying for apartments at least three months before you plan on moving to L.A.
Competition will be massive so be prepared to pay your deposit immediately if you are approved for an apartment. Remember Los Angeles is always receiving an influx of new people so landlords can afford to be highly selective about who stays in their units. Having your money right then and there can get your foot in the door faster. Los Angeles is one city that you do not want to be without a vehicle in. The city is massive and in not cases you will not be able to navigate a large portion of the town on foot. The best advice is to find a way to have a vehicle of your own. The Metro is the city's public transportation system. You can find fare and schedule information by going to www.metro.net/. The bigger question is what is there not to do in Los Angeles. You can literally find anything and everything in this town. From an array of clubs and bars as well as live entertainment opportunities to hiking, biking and fishing, this town has it all. The beaches are beautiful and there is nothing more amazing then capturing a California sunset from any location.